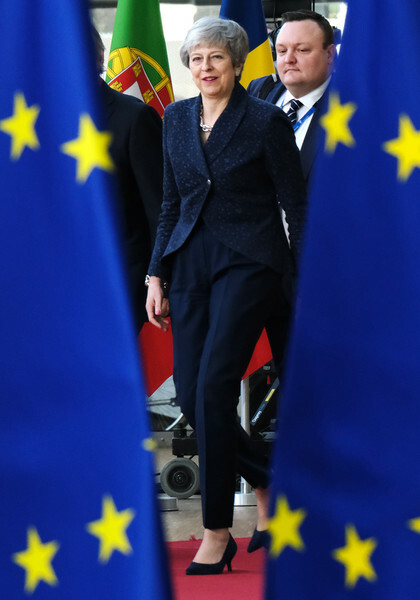 British Prime Minister Theresa May arrives for a two-day summit of European Union leaders on March 21, 2019 in Brussels, Belgium. Leaders will discuss British Prime Minister Theresa May's request for an extension of the deadline for the United Kingdom's departure from the EU, or Brexit. European Council President Donald Tusk said yesterday that he can see member states agreeing to a short extension beyond March 29, though he has coupled an extension to the British Parliament passing Theresa May's Brexit agreement first.